It is very easy as a keen indie game developer, to spend more and more time on your game and to overwork yourself into the ground. You have a vision for your game, you have an impossible number of things to do, there’s lots to learn and to try out and to fix and to design, code, get modelled, integrated and so on. The list is endless but your energy is not. As an indie game music composer (see my stuff!) working alongside many game developers, I've seen this happen many times. It is so easy for anyone keen to succeed in any industry and/or in any job, or working on any project of significance, to burn out – but we must do all that we can to prevent this. If you burn out, your energy levels deplete, your enthusiasm and positivity vanishes, your work becomes suboptimal and ultimately even if you finish the project, it won’t be your best work. Map out what you need to do, set goals for both the long term and for daily tasks and work through your plans as best you can. These will help to ensure that you’re making good progress and that you aren’t wasting time on things that don’t really matter, are peripheral or don’t have a big impact on your ultimate goal. There may be a lot to do and a lot to learn, to discover and to get through in order to complete your game or project, but don’t attempt to do it all at once! Solve one problem at a time, break things down into manageable chunks that you can look at one by one. Otherwise you will become hugely overwhelmed, overworked and probably stressed and none of this is fun nor productive in the long term. Don’t attempt to do everything completely by yourself. This doesn’t mean that you can’t be or shouldn’t be a solo developer. If you want to build your game by yourself then that’s absolutely fine and also very possible, but it doesn’t mean you need to feel alone doing it. There’s no shame in asking others for help, advice or support along the way. Embed yourself into the gamedev community wherever you feel most comfortable e.g. on Twitter, Facebook, forums, locally, by attending conferences etc. and build that network of people who you can go to whenever you get stuck. For whatever problem you come up with, there will most likely be someone who has solved a similar issue before. Make use of that experience and knowledge from the game developer community, and save yourself time and stress in going it alone. It can be tempting to work on your projects for several hours a day, but it’s important to give yourself frequent breaks. Let your eyes, body and mind rest otherwise you will get tired, stop thinking clearly and/or smartly, your legs and back will get stiff you’ll find it much harder to work consistently or to produce great work. Play some games, enjoy yourself and remember what it’s all about. Let yourself unwind but also whilst playing other games it may provide you with new inspiration, ideas and also keep you connected to your end goal. If you need some inspiration on some new and interesting games to check out, take a look at my blog and explore the various indie games featured there including Shakey's Escape, Vito Jump N Roll and many others. Do you sometimes achieve your best work into the late hours of the evening? Are you a night owl? If so, you won’t be alone. Losing sleep is easy to do, especially if you’re on a roll, making good headway and work well through the night. However, it is really important to find time to rest and to sleep. When you’re feeling a bit low on energy or you feel yourself getting really distracted, take a power nap! It doesn’t have to be long, but if you aren’t being productive anyway because you’re overtired, give your mind and body the chance to recuperate. Also the more you take power naps, the easier it may become to keep doing so as and when you need to. It could just be for 10 minutes, 20 minutes, half an hour or longer. The beauty in a power nap is that it can be as short or as long as you allow it to be. Just give yourself that chance to catch up on some much needed rest. I hope that some of these pointers help you to maintain your energy levels and not to burn yourself out whilst developing your game. It can also be helpful to work in a team and/or with outside resources who can help to take the load off. If you'd like help with the music-side to your game, you know where I am! Contact me - I can help and would be very happy to explore this further. 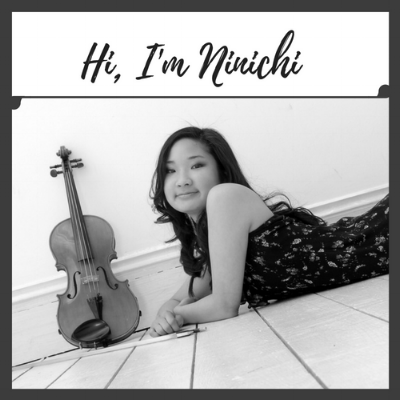 About the author: Ninichi is a freelance video game composer, film music composer and supporter of indie games. She has composed the soundtracks and music to several games, films and more. Contact her: to explore working with her now.